At first glance, it sounds like you’ll be doing most of the work, but presumably for a discount. However, does “closing your own loan” really give you an edge over other competitors? That’s the big question mark. Who Is Close Your Own Loan? First a little background. Close Your Own Loan, or CYOL for short, is an online mortgage lender backed by, rather ironically, Peoples Bank, which has roots that go back to 1871. The company is a family-owned, FDIC-insured and regulated bank headquartered in Lawrence, Kansas. They also seem to do business as Peoples Banking Unusual. Anyways, Close Your Own Loan is based out of Southern California, and appears to be a mortgage broker, meaning they work as a middleman between the homeowner and the lender. This also means they have access to all types of loan programs offered by multiple lenders, including HARP 2.0 refinances and so forth. They can shop your mortgage rate with several different lenders at once to get you the best deal around, which can be a plus over retail banks. They claim to reduce their expenses by doing everything online in a streamlined fashion, and pass the savings onto you. The company relies on its automated underwriting system to spit out loan approvals quickly and accurately, instead of spending weeks underwriting the file. So all in all pretty basic stuff here. Here’s one notable distinction, though it may just be semantics. Instead of working with a loan officer, you are assigned a “loan coordinator” and a loan processor. Essentially, their marketing pitch focuses on the dark side of loan originators and their tendency to steer borrowers into higher-risk or more expensive loans. So instead of being “sold a loan,” you can choose what you’d like without any intimidation. The loan coordinator will monitor your mortgage from the moment your application is submitted to the day it funds, kind of like a loan officer. They can help you decide between different loan programs, interest rate options, and guide you through the home loan process. Again, much like a loan officer. The loan processor does what any other one would do; handle the paperwork to ensure the loan moves along without any snags. 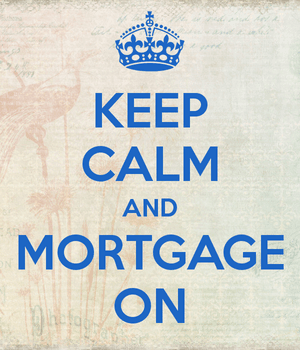 At the end of the day, wouldn’t you rather work with a mortgage broker (or loan officer) who will do the work for you and consult with you from start to finish? Obtaining a mortgage is a complicated process, and one that should not be taken lightly, especially if you’re green on the subject. While it sounds like a good idea to cut the fat and reduce costs, eliminating your loan guide could be a risky endeavor, especially if the pricing doesn’t even turn out much better. The last thing you’d want is to be out on your own with no assistance from the company you ultimately chose to work with just to get a slight discount. But like any other company, you may get a good deal with Close Your Own Loan if all goes right. It is recommended that you shop around with a variety of different physical banks, online lenders, credit unions and mortgage brokers to ensure you find the right fit for your unique situation. The more banks and brokers you include in the process, the better your chances of finding the best deal. Tip: How to get the best mortgage rate. I am the Division Manager for Peoples Bank and Close Your Own Loan.com. This is a relatively fair assessment of CloseYourOwnLoan. I would like to make one clarification in that CYOL is the online division of Peoples Bank. We are not a mortgage broker but rather fund everything right thru our parent company Peoples Bank. As promised in our marketing and by the rates that can be obtained thru our online mortgage system, we do offer lower rates than any of the big banks or credit unions simply because we are more efficient. We would encourage anyone to shop around and compare us to any other lender in the country. When you shop around, you will see how much you really can save with Close Your Own Loan.com. Great company to work with! We closed in late Nov. 2012. The Loan Officer was very helpful, patient and highly professional. We obtained a 30-yr refi at a very good rate. I recommend this company. Unprofessional, reps that lie, slow to respond and I could go on. AVOID CLOSE YOUR OWN LOAN. After 5 months of waiting, getting the runaround and added fees I contacted Chase bank and got a HARP refinance in 3 weeks with lower fees, even when i account for the second appraisal, and a lower rate. BIG WASTE OF TIME. Dan Mason (who commented above) is one of the most dishonest people I gave ever encountered. Horrible experience with him and “his” company. Started the process in July. Walked away in the middle of November. It is as if they did not know the rules of the agencies they were trying to guarantee the loan. They charged 600.00 for a .1% (Thats right1/10% buy down at lock. Then every week to 10 days sent me another “good Faith” estimate (what a joke) and increased the buy down fee as an “extension”, by several hundred dollars. Stating they had to! I told them everything up front, but they still seemed to proces as if a normal loan, then made changes with increased cost. Avoid!!!! if you are not a 100% straight forward loan. Dan spent over 2 hours talking me into taking a higher rate then what was originally promised. They claimed the market had changed which I understand that can happen. But my loan had .25% higher rate then they promised and tacked on an extra $3000 in fees I didn’t expect at last minute on the day I closed. I am not mad, but I felt they took advantage of me. Maybe I am too nice so they thought they could make more profit? I am going to file a complaint with the FDIC instead of dealing with them agian.